The Gallery is where NPS members can show their work to the rest of the world! It is also a great place to learn more about the art of photography by viewing others members images and exchanging comments. Uploading images to your Gallery could not be easier provided you follow the instructions set out below. You will receive an email containing your username and password to enable you to access your Gallery account. When you log into your Gallery account for the first time you may want to take the opportunity to change your password to something more memorable. This can be done by accessing the My Profile link on the sub menu bar.. In the event that you forget your password, use the ‘I forgot my password’ link on the log-in screen to for instructions to reset your password. Follow these three easy steps!! Yes, size really does matter!! The maximum size of images that may be uploaded to the gallery has been increased to 2048px x 2048px and no more than 1024kb in size. Larger images will not upload to the Gallery. 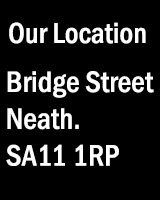 Navigate to the Gallery Home Page using the ‘Gallery’ link at the top of the Neath Photographic Society Home Page.